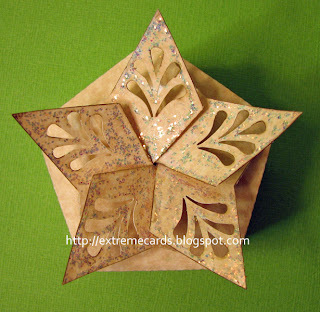 This five sided little box closes with a twist to form a star on the top. 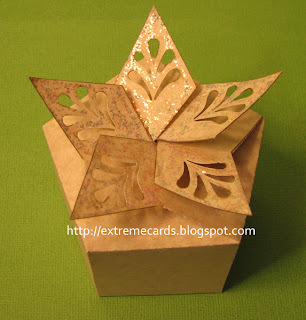 Easy for hand cutting if you leave off the cut-outs on the star points, or use a punch! Assemble in the same manner as the snowflake box and the holly box.